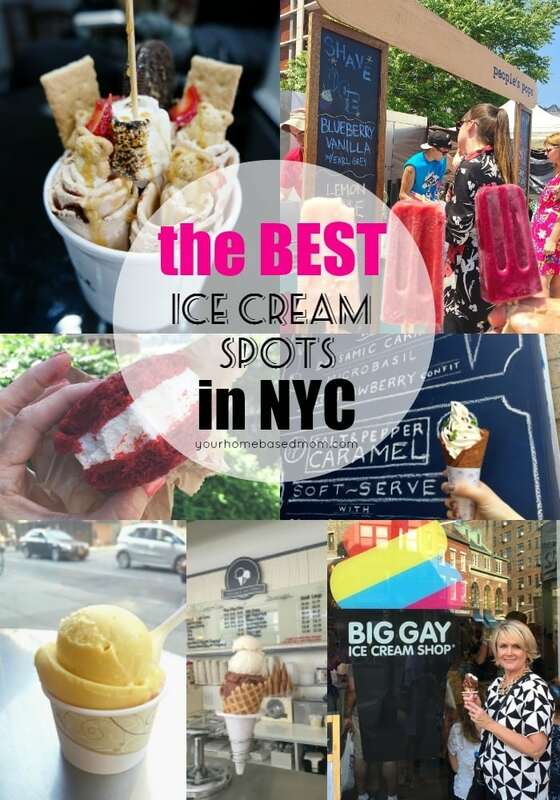 A list of the best ice cream spots in New York City! I just returned home from five days in NYC to visit my youngest daughter. It was hot while we were there so we ate a lot of ice cream. 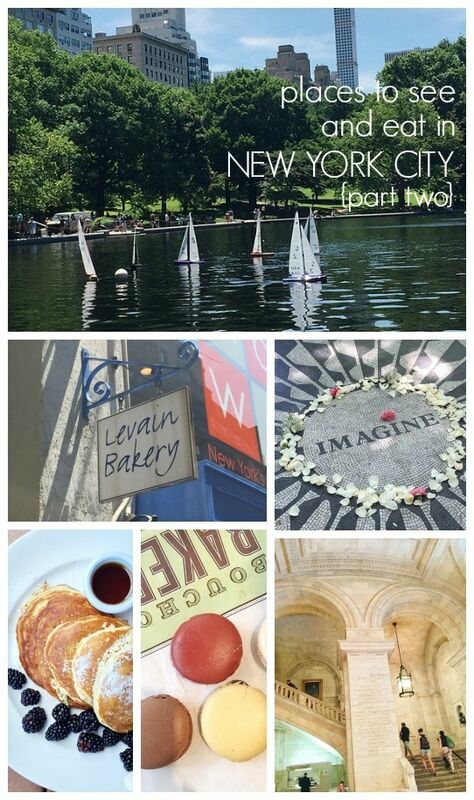 I’m going to share all the places we went and things we saw in another post but I thought it would be fun to share all about the best ice cream spots in New York City all together in one post. Before you worry too much about my weight, we did not eat at all of these places this trip. This post is an accumulation of all the ice cream places I have eaten at during my last three trips to NYC. You can read about my other NYC trips here, here and here. 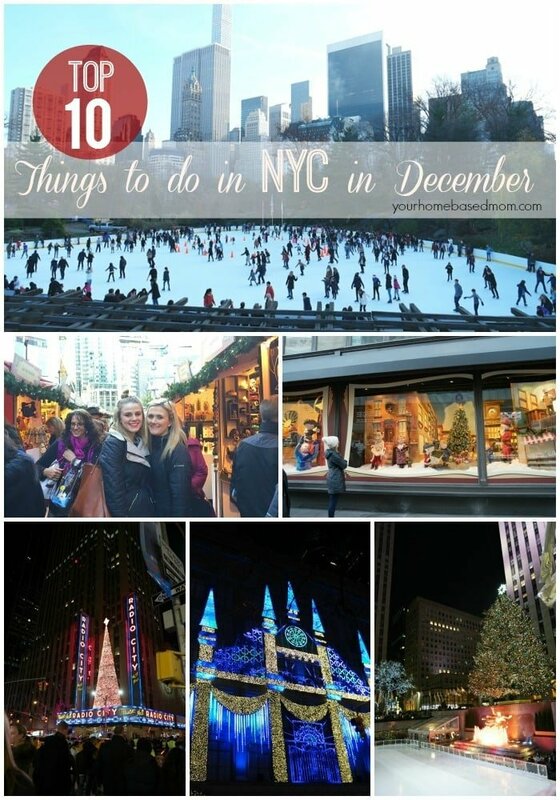 And if you are going to NYC in December check out the best things to do in NYC in December here. 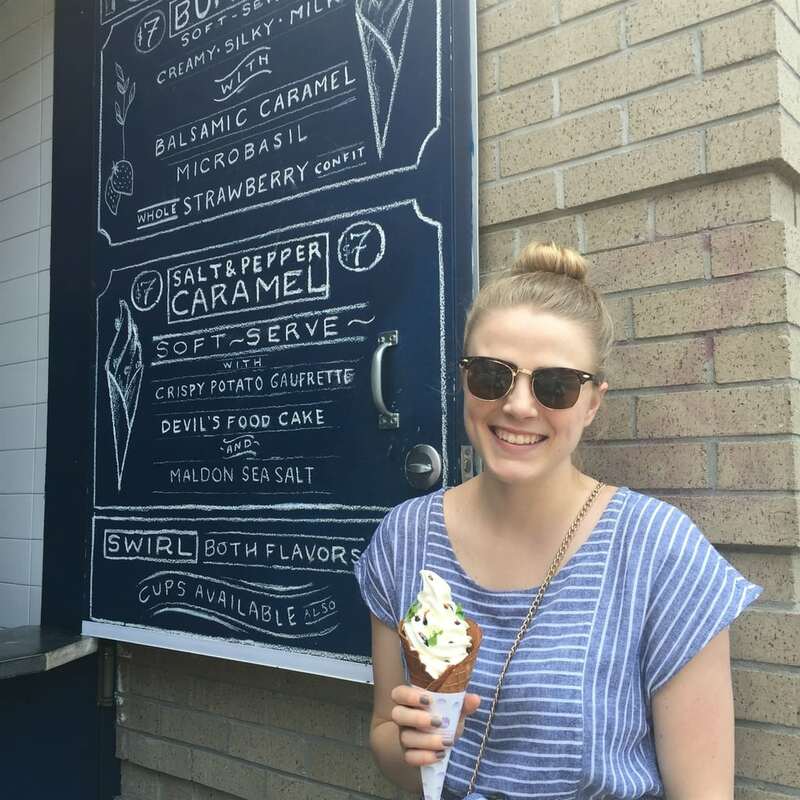 We are big ice cream eaters at our house so finding the best ice cream spots in the cities we visit is always a high prioirty and when it’s in the 90’s when you visit, it is even more of a priority!! I’ll start with the places we checked out this trip…. Pop Bar – Pop Bar is handcrafted gelato on a stick! You pick your gelato bar flavor, then you pick your preferred flavor of chocolate to have it dipped in and then you decide on what toppings you want it rolled in! 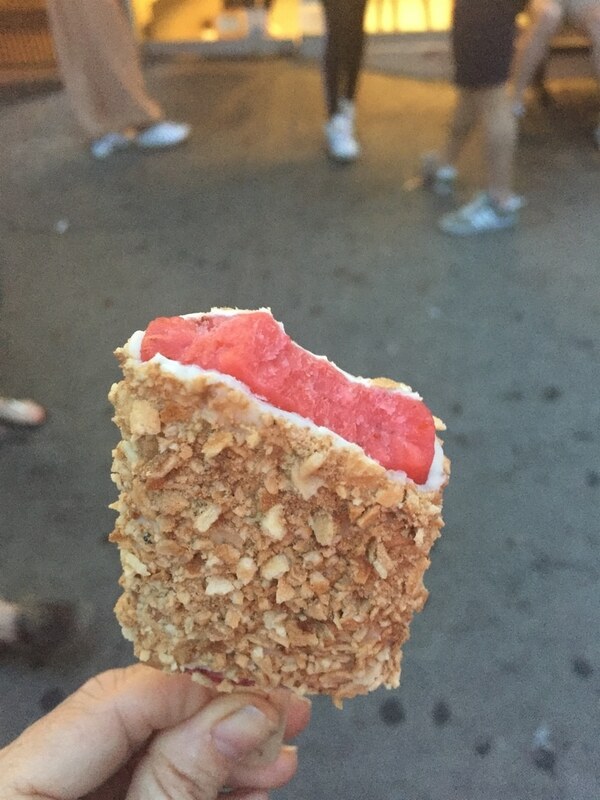 We went for strawberry gelato, dipped in white chocolate and rolled in crushed waffle cone. So good!! Pop Bar is located in West Village right next door to our favorite pizza slice place – Joe’s Pizza. People’s Pops – We were over in Brooklyn on Saturday to check out the Williamsburg Smorgasburg which is an amazing food fair. If you are in NYC on a Saturday it is a must! I’ll share all the other food we ate there in another post but it was a hot, hot day so some popsicles from the People’s Pops was at the top of our list. 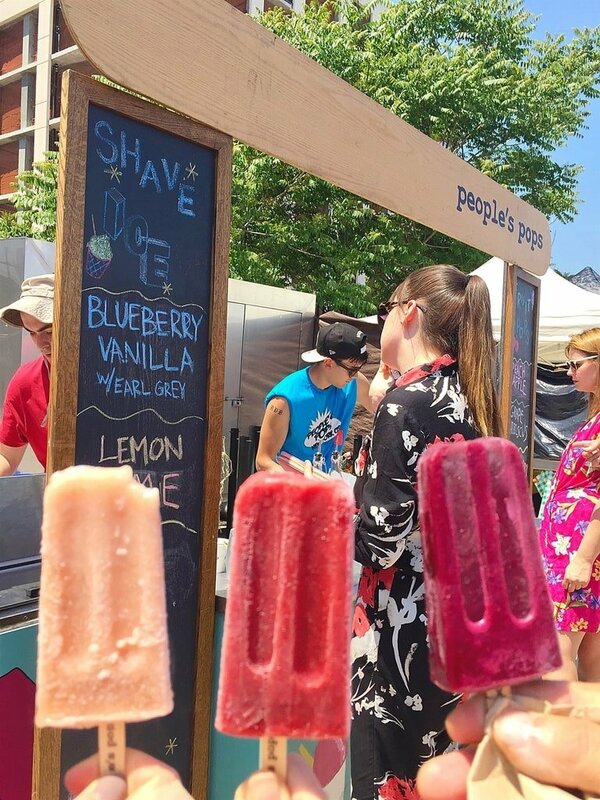 People’s Pops have other locations including Chelsea’s Market and the Highline. They have lots of fun flavors and we tried the Peach Apple, Grape Hibiscus and the Strawberry Basil. Their flavors are seasonally inspired, made from local ingredients and yummy and the perfect way to cool down on a hot day. 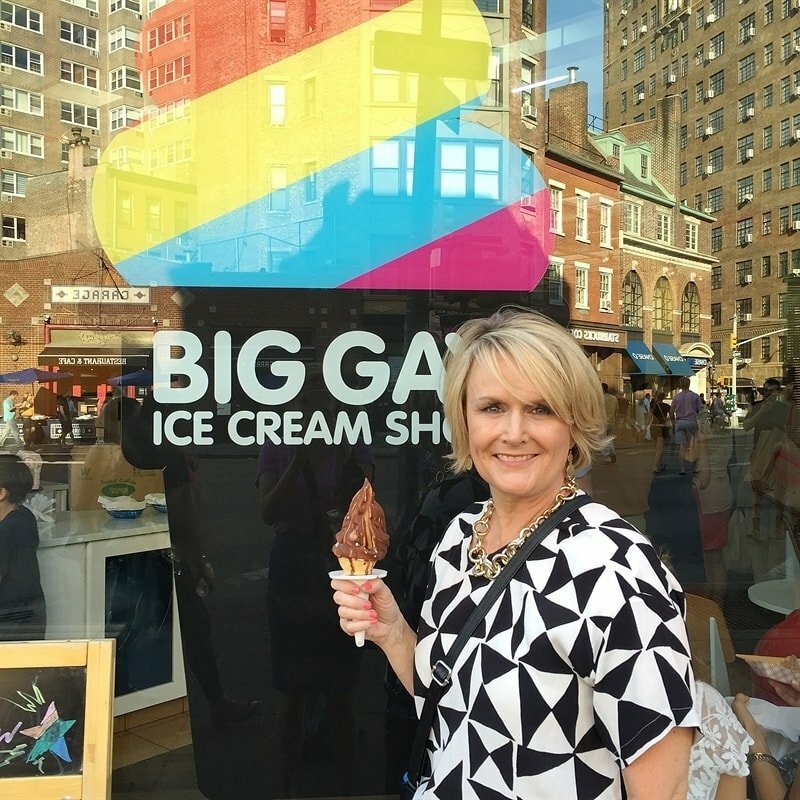 Big Gay Ice Cream – One of my favorite ice cream shops to visit in NYC is Big Gay Ice Cream. I am a fan of soft serve ice cream and Big Gay takes it to a new level. They are located in West Village and East Village. 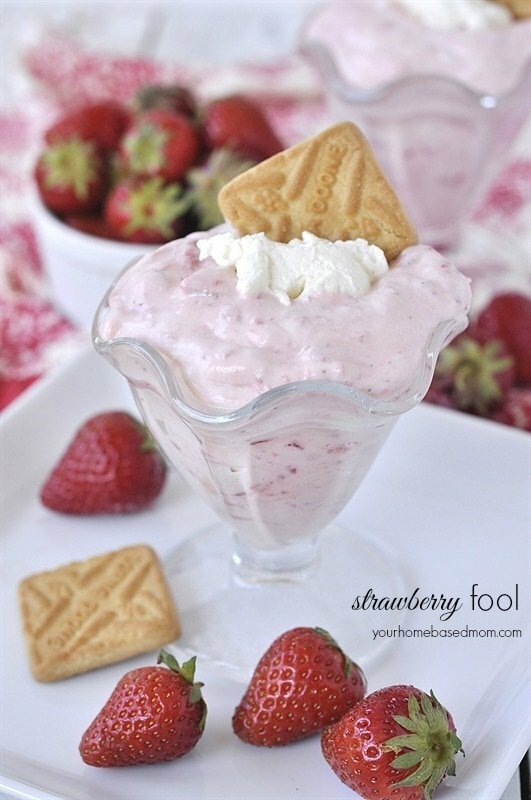 They create fun and unique flavor combinations with a base of soft serve ice cream. My favorite is the Salty Pimp which is vanilla soft serve infused with dulce de leche, dipped in chocolate and sprinkled with sea salt. Tessa got the American Globs which was amazing too with vanilla ice cream, chocolate dip, pretzels and sea salt. Don’t be surprised if there is a line out the door. Cones – is an Argentine gelato shop located in West Village. They are famous for their corn gelato which we tasted but instead opted for the passion fruit gelato on top and raspberry on the bottom. There are lots of unique flavors including the corn and mate and gelato is made fresh daily. 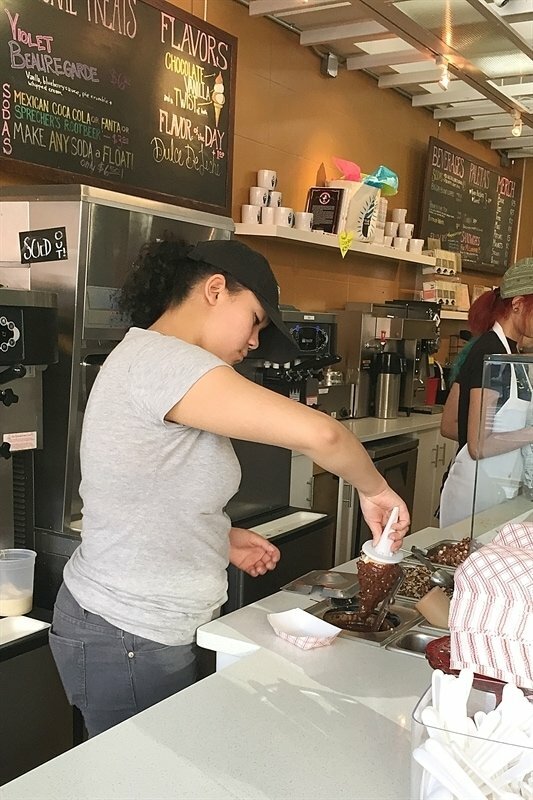 Sundaes and Cones – located in West Village has a large selection of unusual ice cream flavors including Corn (that seems to be a popular one in NYC) Black Sesame, and Green Tea. We played it safe and had some amazing banana ice cream and chocolate peanut butter. 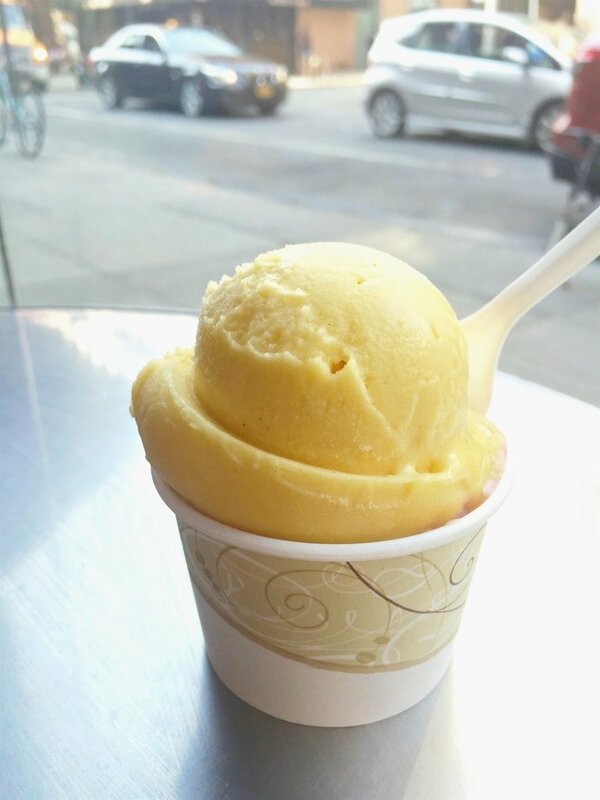 Ten Below – this is one of my favorite ice cream spots in NYC and is located in China Town. Not only is this ice cream delicious, it is just so much fun! 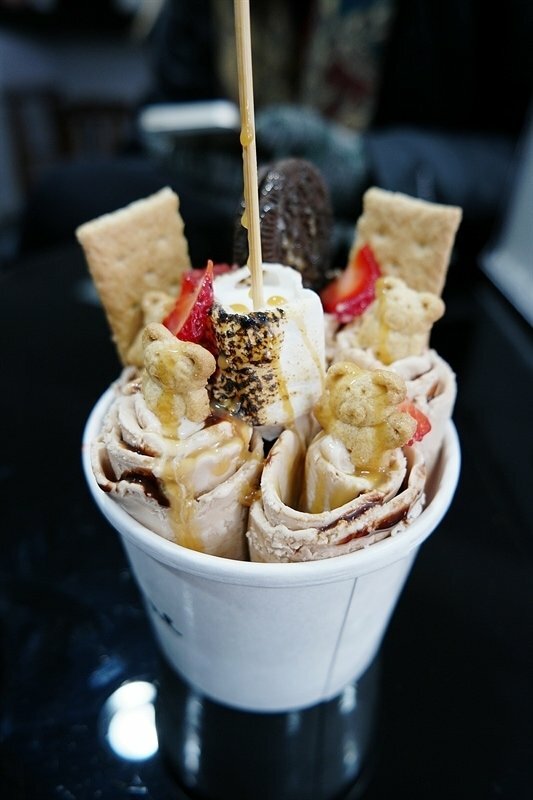 It is NYC ‘s first place serving Thai-inspired ice cream rolls. This concept was created on the streets of Thailand, serving fresh, made-to-order ice cream. Each ice cream is made to your specifications. They pour the milk mixture onto a cold plate and roll the ice cream right in front of you, adding in the toppings of your choice. We told the person waiting on us to dress it up how he liked and he did a great job. The toasted marshmallow was my favorite part. 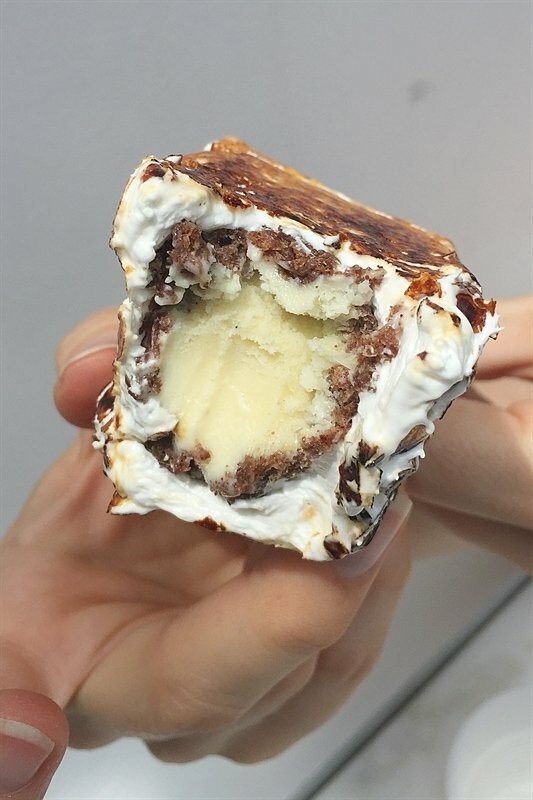 Dominique Ansel – They are mainly known for their baked goods and their famouns Cronuts, but their Frozen S’mores on a Stick is a total must! 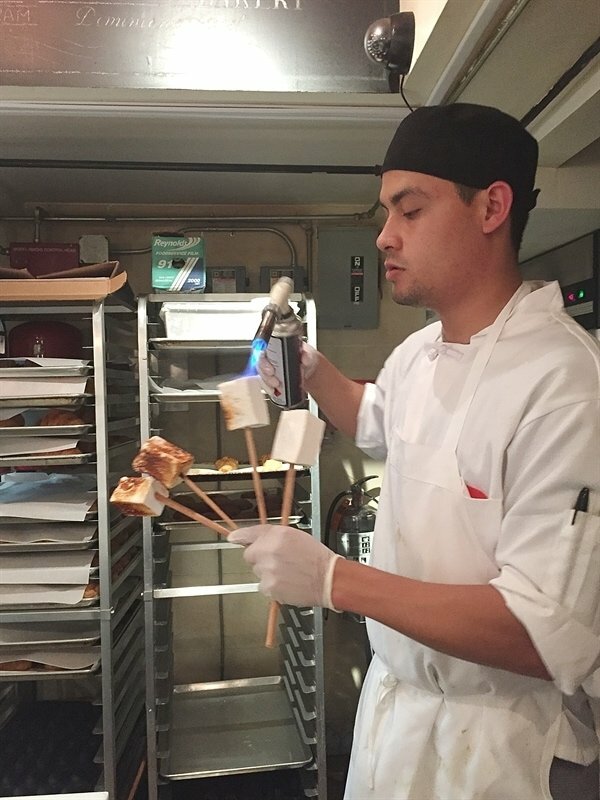 We visited the DA Bakery on Spring Street where we enjoyed our S’mores on a Stick. It truly is divine and fun to eat, although a bit messy! At the Dominique Ansel Kitchen over on 7th they have a soft serve ice cream window. There were two different flavor choices the day we were there, Burrata Ice Cream with Balsamic Caramel, Basil and Strawberry Confit and it was DIVINE!! We loved it!! We sampled the Salt and pepper Caramel but really preferred the Burrata. It was so creamy and smooth and the flavor combo was amazing. 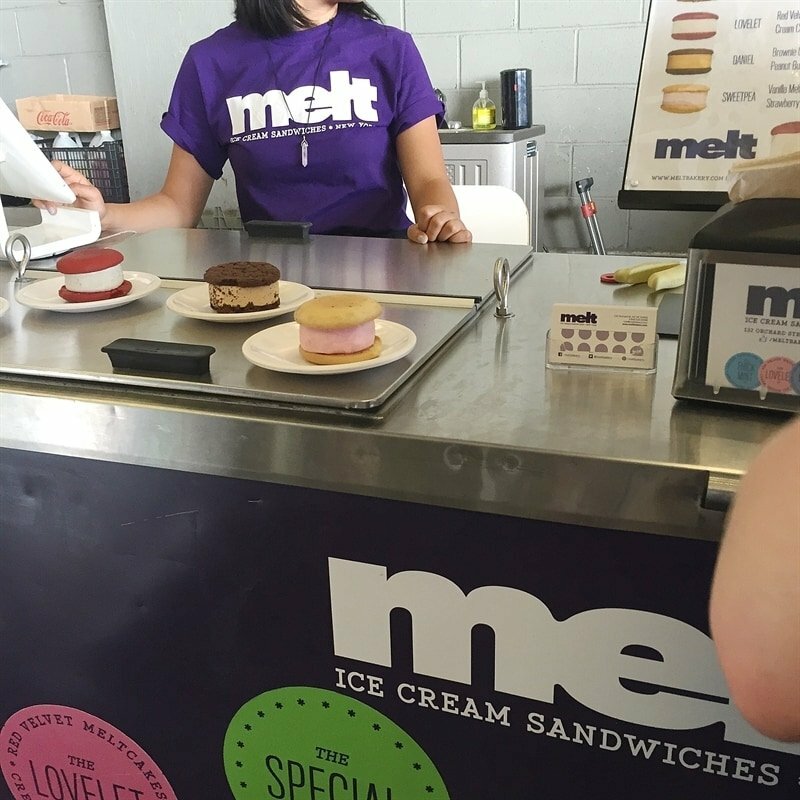 Melt – A fun treat you can find at the Highline is Melt Ice Cream Sandwiches. 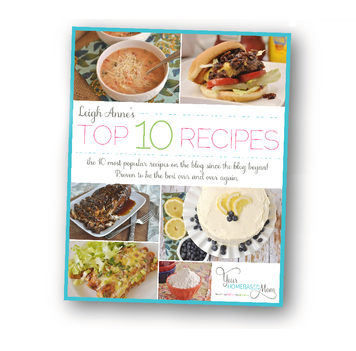 They have lots of fun flavor combinations that are also seasonally based and locally sourced. The cookies are soft and delicious. 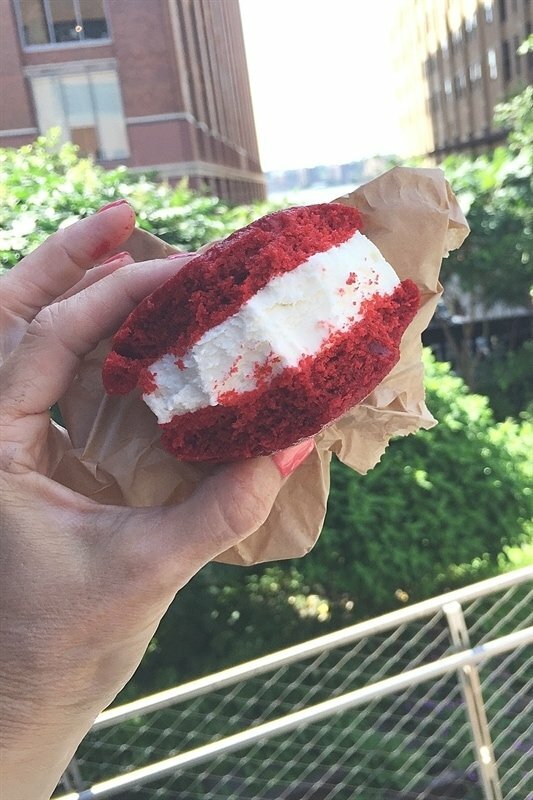 We tried the red velvet with cream cheese ice cream and enjoyed it as we walked along the Highline. 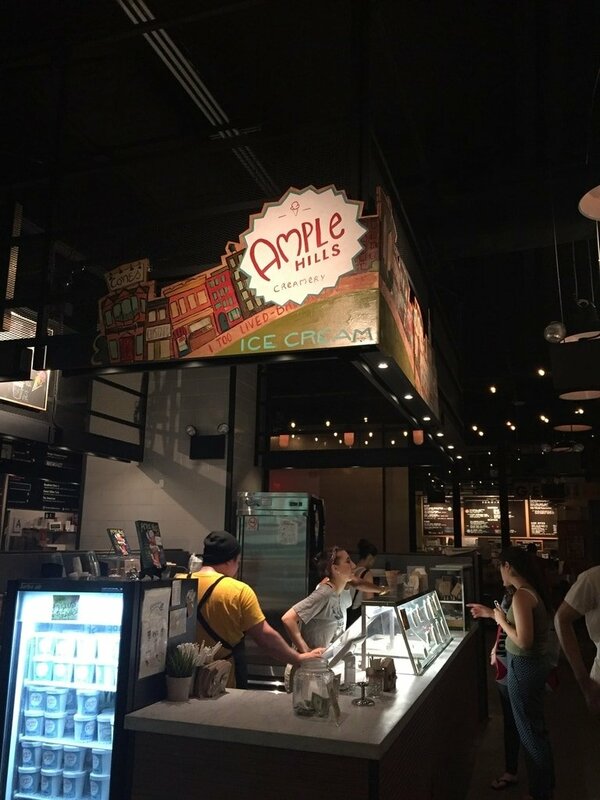 Momofuko Milk Bar – the ice cream is not the only reason to visit here. Be sure and check out the compost cookies and the crack pie. The cereal milk ice cream is not to missed though. It is ice cream that tastes like the milk that is left after you eat the cereal! 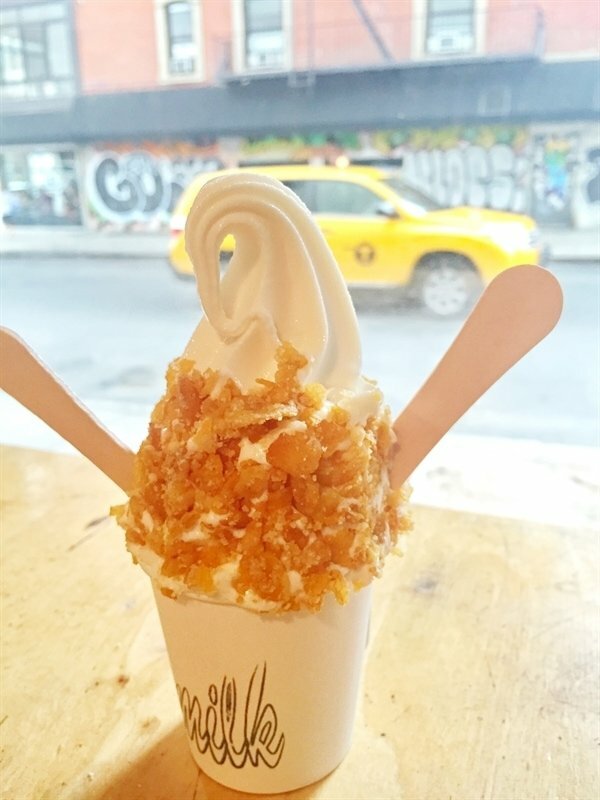 The ice cream is in soft serve form and then it is topped with crushed corn flakes. We loved it! There are several locations throughout the city. 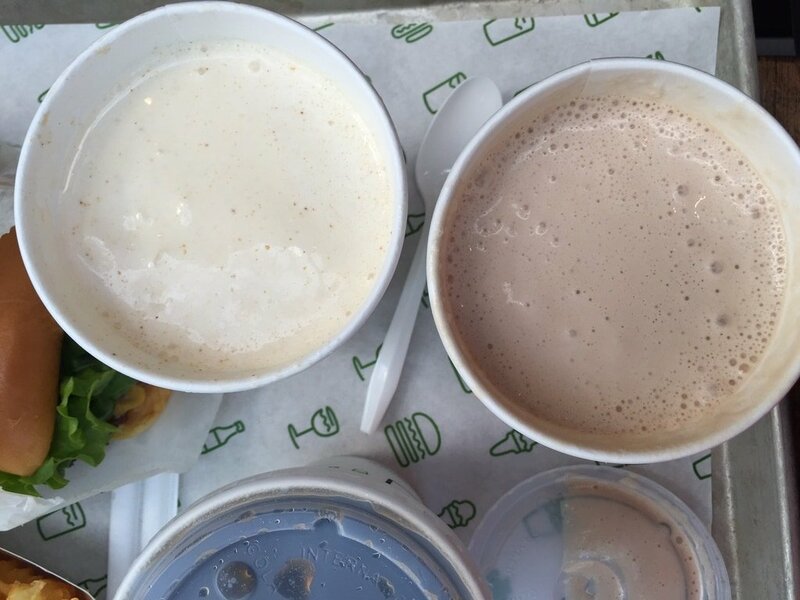 Shake Shack – if you’re looking for a milk shake be sure and check out the Shake Shack and grab a burger while you are there too. There are numerous locations throughout the city and one at the airport. I love their Black and White Shake and Jim tried the Peanut Butter. 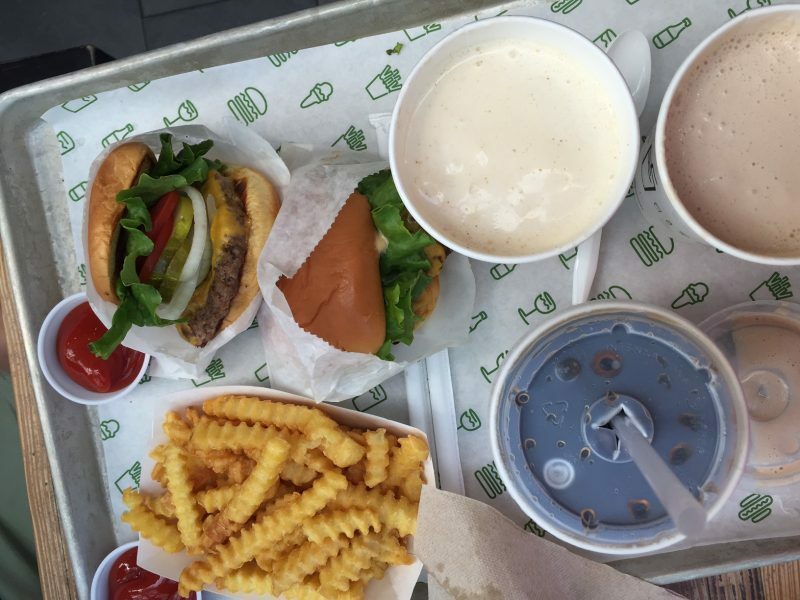 Their shakes are made from custard which is a denser, richer ice cream. 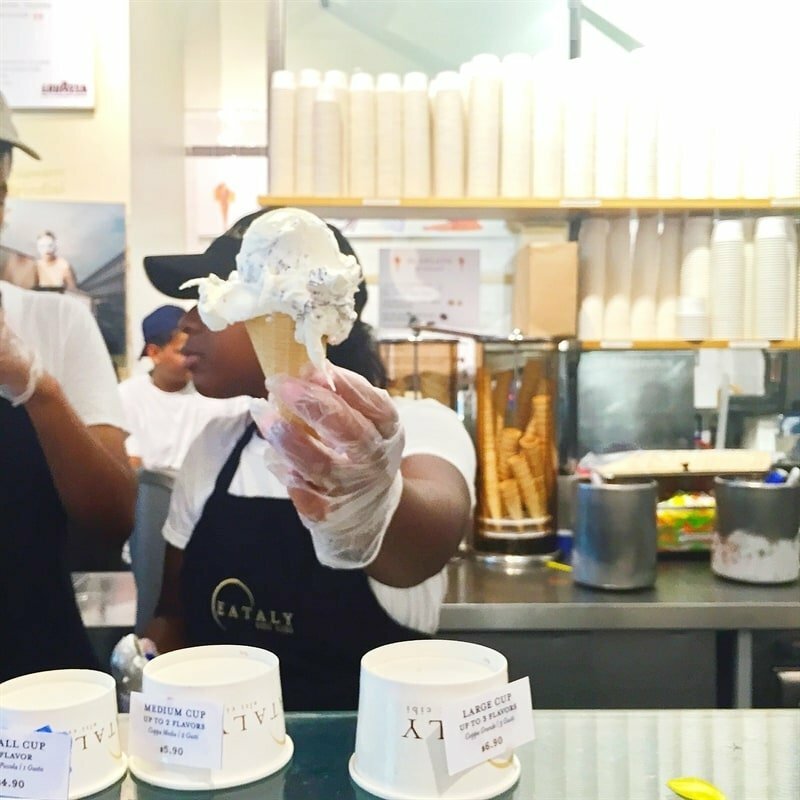 Il Gelato – is located inside of Eataly which is in the Flatiron District and lucky for us, is near where Tessa works. Eataly is an amazing Italian food market that is a must visit. 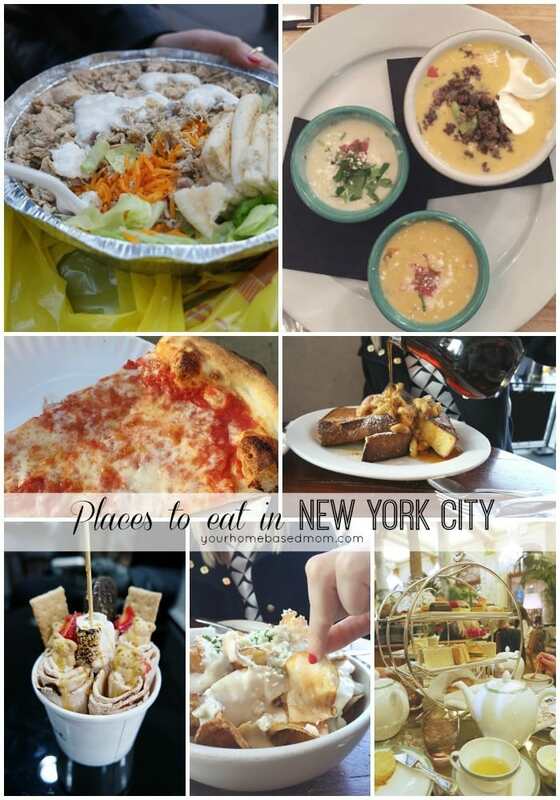 Besides delicious gelato there are lots of other fun places to eat. The prime rib sandwich at La Rosticceria is my favorite, it is amazing!!! 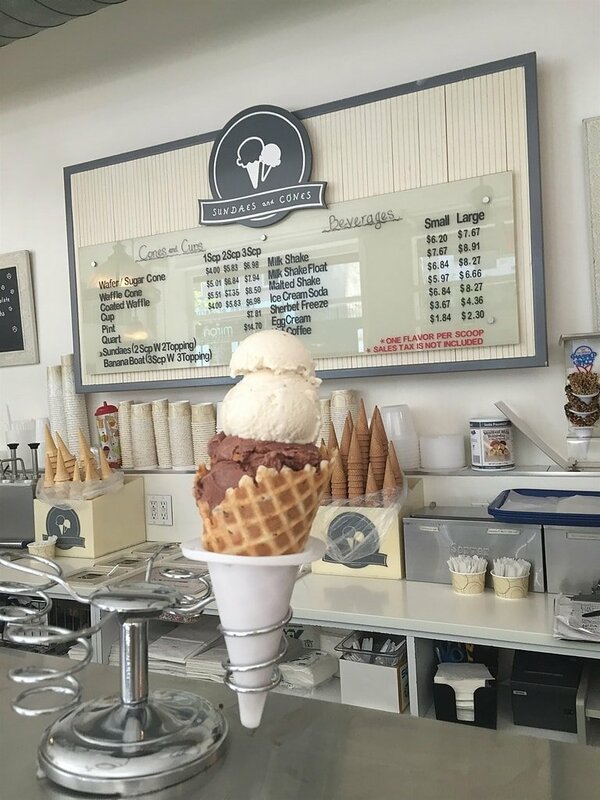 Amplehill – last but certainly not least is the ice cream spot that is rated the number one in the entire state of New York. They have multiple locations through the city but we visited the one in Hell’s Kitchen. 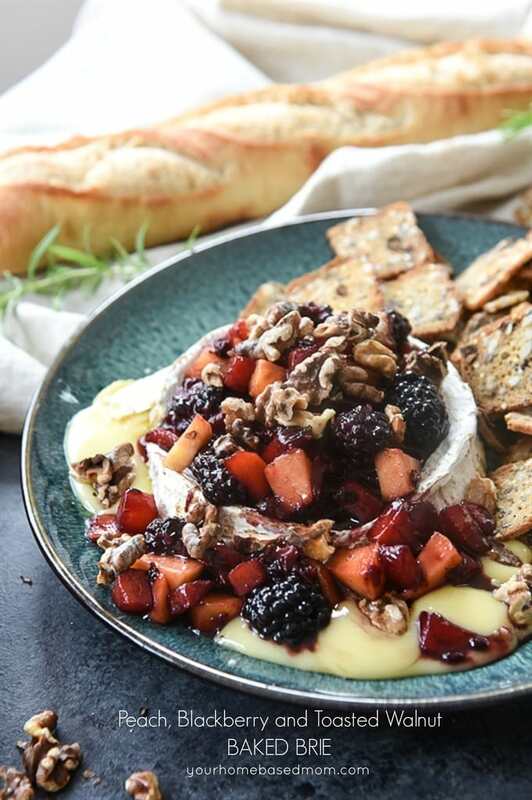 They have such fun and unique flavor combinations such as Snap Mallow Pop, Ooey Gooey Butter Cake and my personal favorite – The Munchies which has pretzel infused milk. 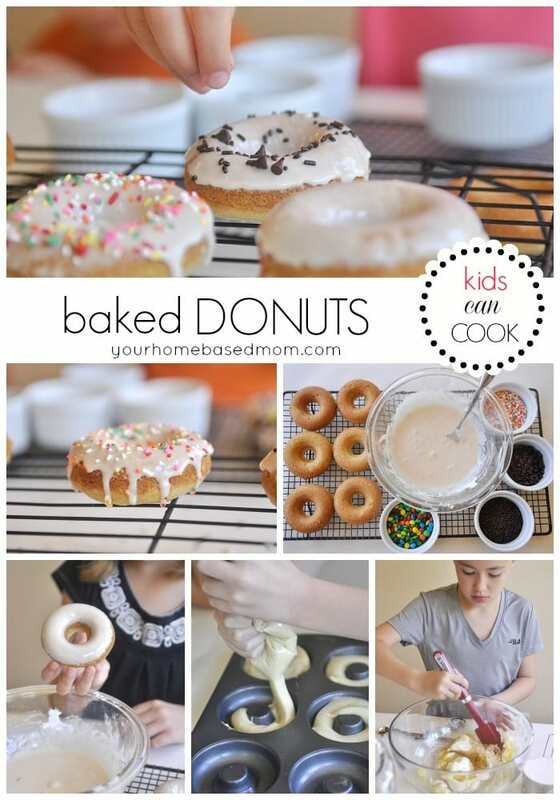 I loved this one so much I went home and made my own version of The Munchies. Flavors change daily. 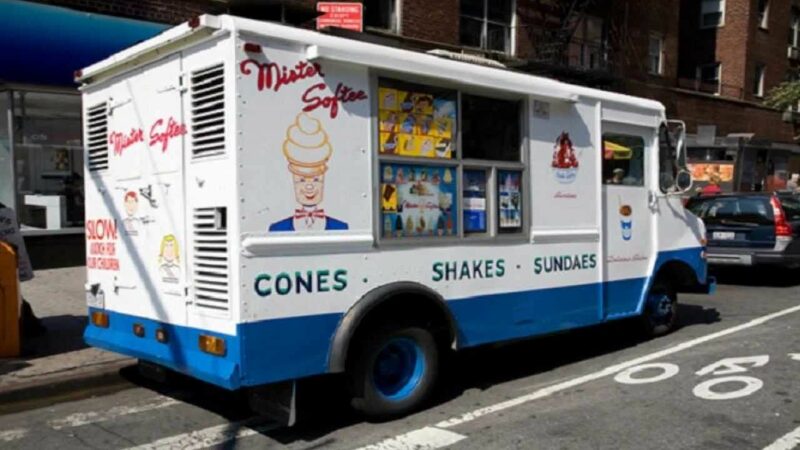 And if that isn’t enough for you, during the summer, you will find a Mr. Softee ice cream truck on every other corner. 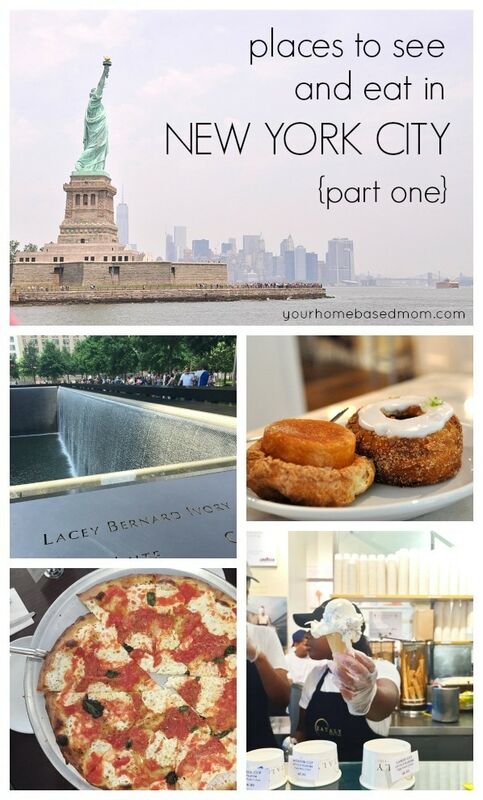 Here are some of my other posts featuring places to eat and things to see in NYC! I LOOOOOOVE Big Gay Ice Cream!!! I saw their food truck featured on the Travel Channel, so I did some research and saw they had a couple regular shops too. So the next time I went it was on the itinerary! We ended up going 3 times in 4 days and would have gone more if we had, had the time. My favorite is also the Salty Pimp with extra dulce de leche. YUM! 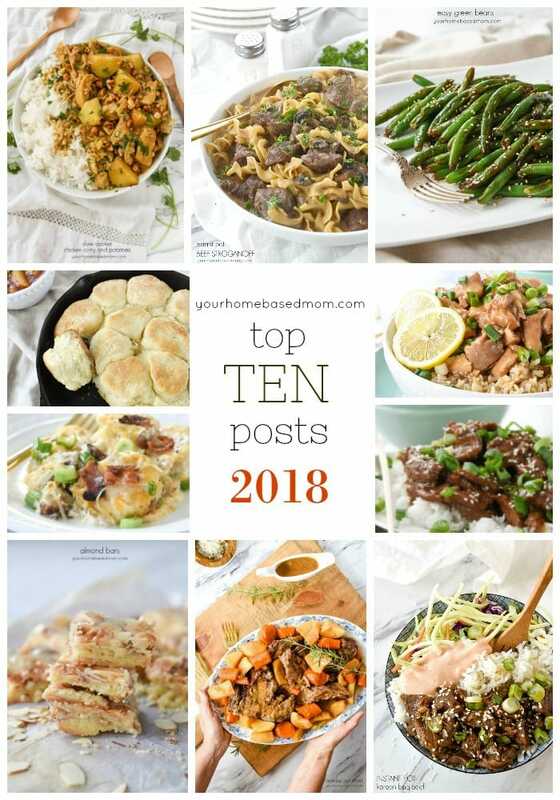 I’ll definitely be bookmarking this post for future trips. Thanks for all the ideas! Sue, next time I’m askikng for extra dulce de leche!!! 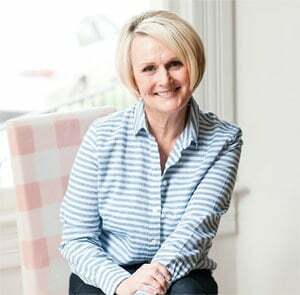 Great post Leigh Anne! I will definitely pin it! Elaine, No, we didn’t make it to Carnegie Hall but I’d love to get there sometime. How fun that your son got to play there!! Glad to see you enjoyed the ice cream in NYC! But the best pizza is here on Staten Island! 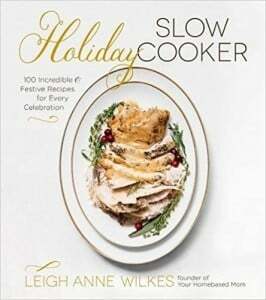 Thanks Leigh Anne…good job!